After searching Let’s Travel Family, I realized that we’ve been lacking in basic advice for people who are just now purchasing an RV. 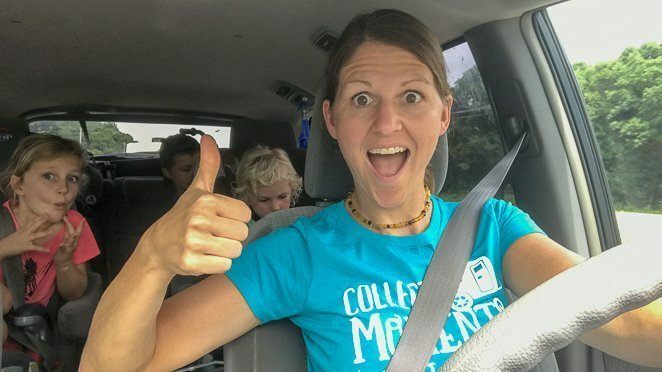 So, whether you plan to be a full-time RV traveling family or a weekend warrior, here are 18 RVing for Beginners Tips to help you get started! 1. What type of camper are you? 2. Where will everyone sleep? 3. What is your RV budget? 4. Will you tow or be towed? 5. Practice backing into campsites BEFORE your bring you entire family. 6. Learn how to dump your black tank the right way. 7. Learn that RV mattress are rarely standard in size. 8. 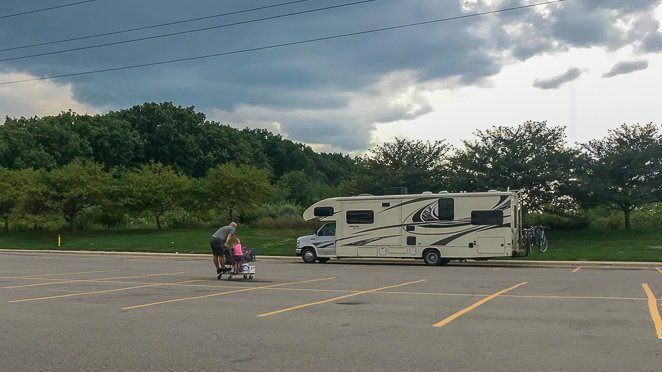 Every Walmart has an RV isle. 9. Do not go 'cheap' on your sewer hoses! 10. Use a white hose for your fresh water coming in ONLY. 11. Only bring dishes that have multiple uses. 12. Think ahead on where to stop for fuel. 13. Take bathroom breaks when you fill up. 14. When planning your drive time, double what Google Map tells you. 15. Make reservations ahead of time. 16. 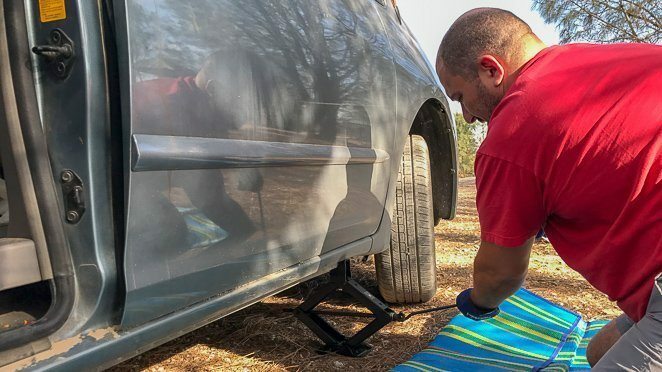 Understand how to properly inflate your tires. 17. Take it slow when setting up your rig. Do you want to camp on the weekends only.......or travel across the country to see the National Parks during a summer trip? 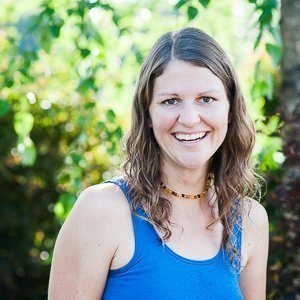 Do you want to hit the road as a full-time RV living family or take it out occasionally and for short trips? Do you want to watch Sunday Football and stream Netflix at night or sit outside and watch the stars? When you answer these types of questions truthfully, you will then know what you need in an RV and in a campsite. For example, if you want to travel fast across the US, camp in National and State Parks and sit outside each night then a small motorhome might be best for you. Or, if you want to go out each weekend to a local RV resort and hope to still catch Sunday Football, then a larger RV with a great TV might be best. Determine the type of camping you want to do and keep that in mind when buying an RV. Do you mind setting up beds for the kids on a couch or converted dinette each night or do you really want everyone to have their own bed that stays set up when camping? Our family choose an RV that has designated sleeping spaces for all 6 of us without having to set up the couch or dinette each night. 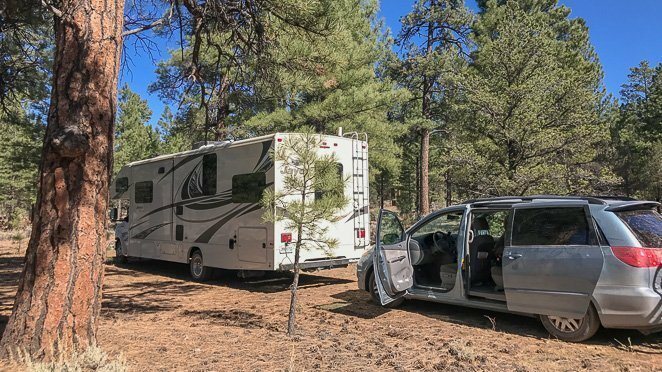 Living a full-time RV lifestyle is a lot different than if you are only planning to camp on the weekends. I think if we were only in the RV periodically we'd be just fine with using the couch as a bed. 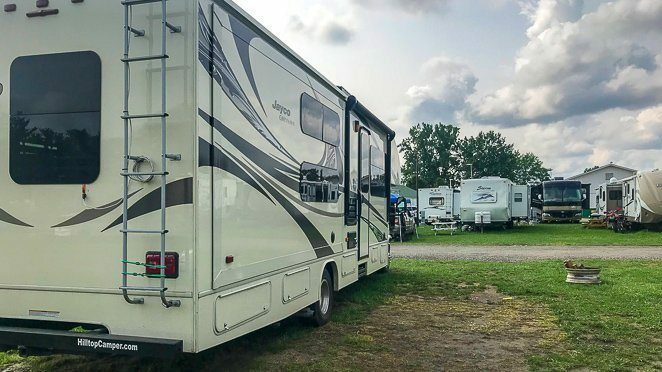 This is pretty obvious, but be sure to determine your budget BEFORE you start shopping for RVs. Also, keep in mind the cost of a vehicle to tow or be towed as well. 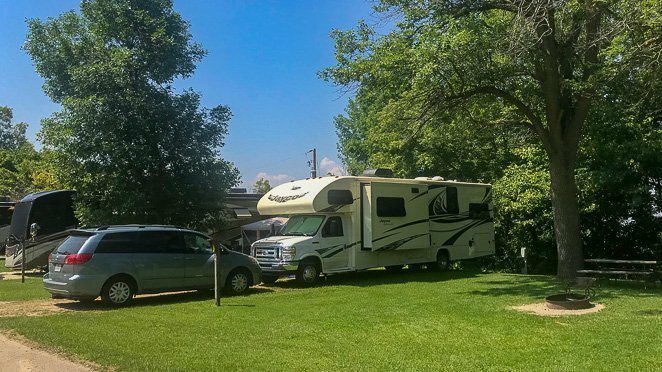 Click here to see our budget after 1 year of doing this RV traveling full-time. Are you willing to take out a loan on your rig? Do you have a powerful enough truck to pull your trailer or do you own a vehicle that you can tow behind your motorhome? Or will you drive a separate vehicle when you travel? These are all great questions to ask yourself when you are deciding on the best RV for your family. 5. Practice backing into campsites BEFORE you bring your entire family. When I talk to other RVers we all agree that setting up camp can be a bit stressful on a marriage. That’s why I recommend practicing your back-up routine before you launch on your first camping trip. Watch for those branches and learn your turning axis. Determine if you need a spotter or partner, or if you are more comfortable backing up the rig by yourself. If you have a campsite with full hook-ups (fresh water, electric and a septic system you can stay hooked up to), then I highly recommend you keep your black tank valve closed for several days. You can leave your gray tank open so that when you are showering and doing dishes the water flows freely into the septic, but wait and do your black tank all at once. There are two reasons I recommend this. 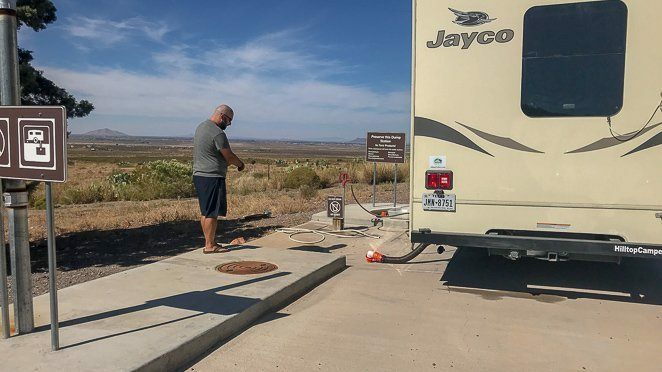 First, it can get really smelly outside of your RV if your black tank valve is always left open (with the hose on of course). Imagine sitting around your campfire and you get a wiff of the bathroom…it’s not that pleasant. The second reason you should keep your black tank valve closed is that gravity works best in your black tank if you have it at least half full when you do open the valve. You are MUCH more likely to clear it out then to leave it trickling. When finding sheets for RV beds, I highly recommend using these clips to hold your fitted sheet tight under the mattress. It works well on our kid’s bunk beds that are narrow compared to a regular twin mattresses. You don’t have to go to Camping World for everything you need in your RV. If you need something quickly, stop at a Walmart. Otherwise, I do recommend checking reviews on Amazon or read our ultimate list of things you must have for your RV to get an idea. Get the high quality sewer hoses for your RV. You will thank me later! Only use your fresh water hose for that, hooking up to your fresh tank. Most 'fresh water' hoses for RVs are colored white to help you remember the difference. We keep a gray colored hose as our extra hose that we use to flush out our black tank (if you have a flush system on your RV) or to just hook up at the dump station and use to rinse off our black tank hose. Saving space in a small RV kitchen is always a challenge. I recommend that you only have appliances and dishes that you can use for multiple reasons. Also, limit how many plates and cups you have, as you can always wash the dishes after every meal. We use our instant pot and cast iron skillet daily if that helps you get a good idea of what to bring. If you need more ideas on RV kitchen accessories check out our list here. Will you need gas or diesel? Either way, a truck stop is the best place to stop for fuel with any RV. I don’t recommend going out of your way and visiting a regular gas station to save $2 in fuel. Click here to see our list of the best RV travel apps that can help you plan your stops. 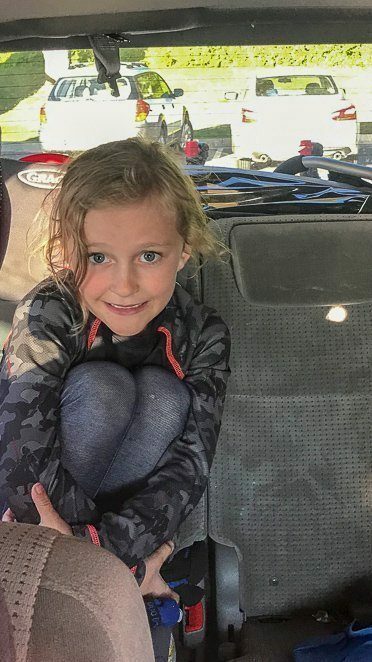 If you're traveling with kids in your motorhome or vehicle, you will most likely need to take more frequent bathroom breaks. Be patient and prepare to stop at rest stops, truck stops, or even finding a Walmart right off the road. Take my advice here. It will take you longer than you might expect to arrive at your destination when you are driving or towing an RV. With frequent stops for gas, tire checks, bathroom breaks, and driving slower with such a large vehicle, try not to rush yourself. Also, plan ahead to bring snacks and other road trip essentials. Popular campgrounds during prime season book up far in advance. If you plan to stay at an RV park, then plan ahead and book far out. These campground memberships can help you save. Or, check out Campendium and look for some BLM land to boondock or dry camp on if that’s your camping style. If you have a dually (a vehicle with 2 wheels next to each other in the rear), inflating the inside tire can be a bit tricky if it’s your first time. We found that out that hard way on the day we launched our full-time RV living journey. 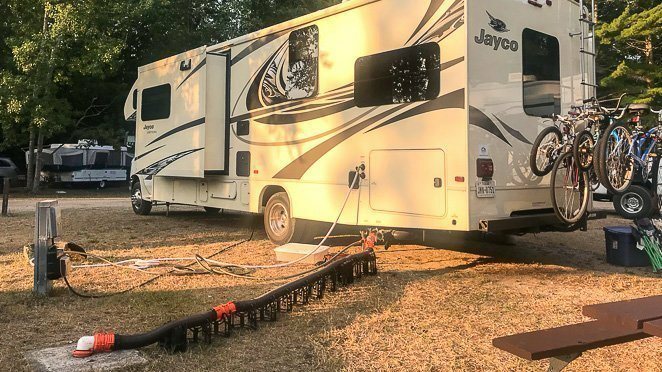 We tried to fill up using a regular gas station free air hose….which did not give us the high pressure we needed for our 80psi motorhome tires. After about an hour of little success, we learned that we needed to visit a truck stop for the high pressure air. We've also had tire issues with our van when we were 2 hours away from any service station while traveling full-time. In all honesty, as a full-time traveling family we invested in an air compressor that we keep with us at all times now. That may be a bit overboard if you are only taking the camper out on the weekends and not going far, but if you already have one why not bring it with you? It's all about mindset here. I can tell you not to stress out too much when setting up your first time...but if you have several campers watching you back in and come back out a few times....you may start to feel a bit stressed. Go into it with a positive mindset and know you will get better with practice! There are two reasons I recommend arriving during daylight to your first campsite. The first reason is that it's MUCH easier to see the tree branches and potholes in a new campground when there's light. 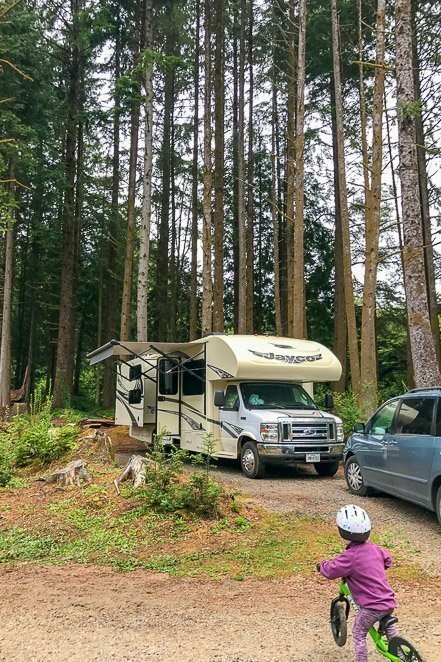 The second reason I recommend arriving during daytime is that it will give you a chance, after you set up your RV and campsite, to explore your surroundings and start your first night off with a feeling of excitement. 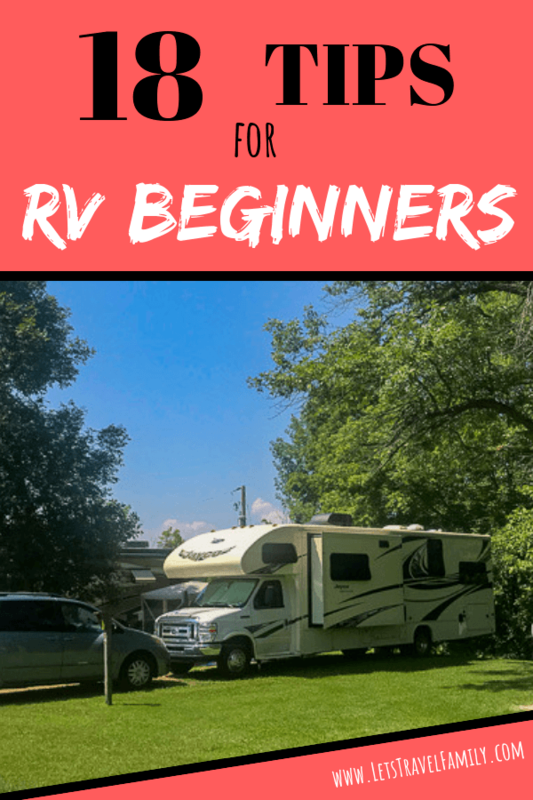 There you have it, those are our top 18 tips to help any RV beginner get started. A bonus tip I have for any RV traveling family, couple, or single is to find friends on the road! 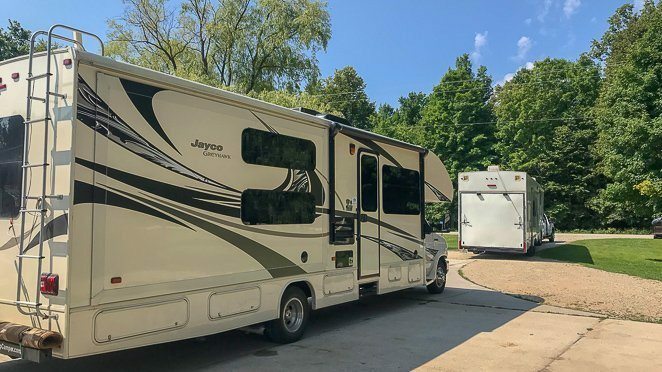 Either plan to camp with friends for a weekend if you are part-time RVing or connect with the full-time RVing community. As always, feel free to reach out if you have questions! Comment below!